You are welcome to share this infographic and/or blog post with homeowners and property owners in the Dallas Fort Worth area whom you believe would benefit from the information. 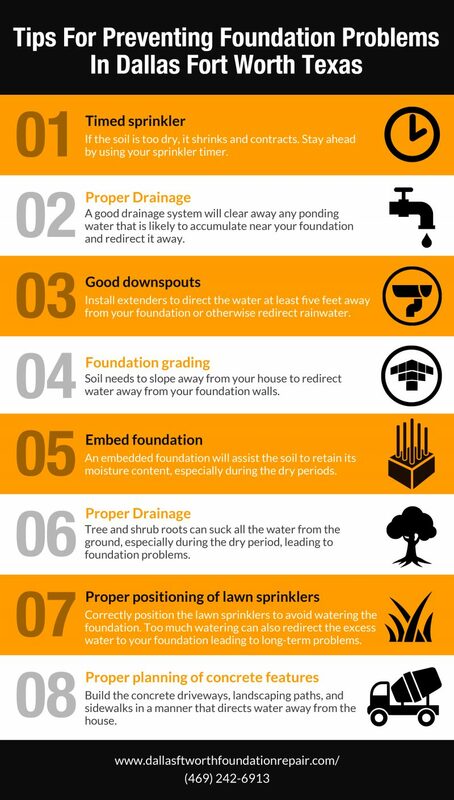 If you would like to schedule an appointment to discuss your property’s foundation or yard drainage correction needs then call or text us at (469) 242-6913. You also may email us using the contact form here.